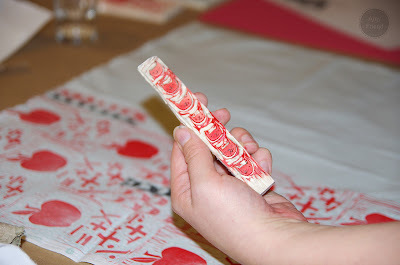 Thanks to Alexis for giving me the heads up, I was able to sign up for a unique opportunity, a two night block printing class with Lizzy House at Gather Here in Cambridge. 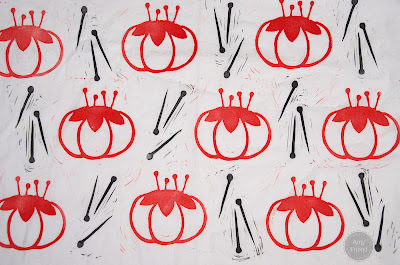 If you have been reading my blog for awhile, you know I like printmaking and have done a bit of screen printing and block printing, but, as I told Alexis, I have never printed with Lizzy House! I picked up a few new tips too. The best one was to print with a piece of craft foam under my fabric. I had used dishtowels before and found that craft foam was so much better. 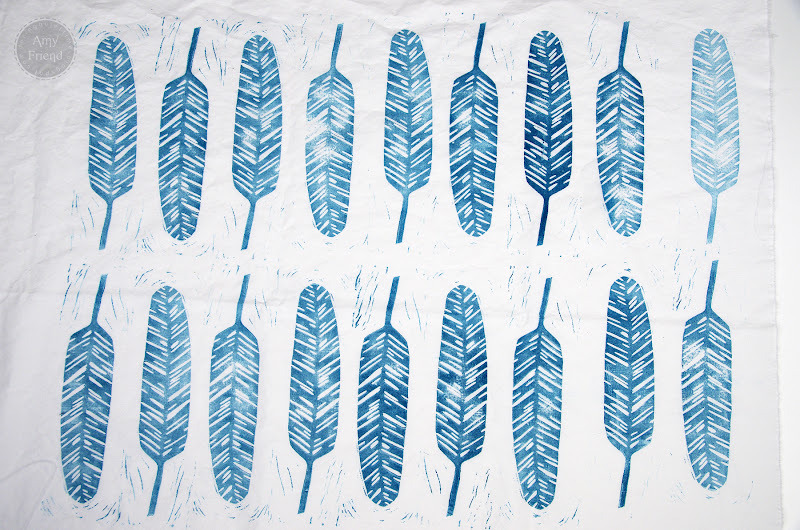 I had time to carve blocks and print two pieces of fabric. 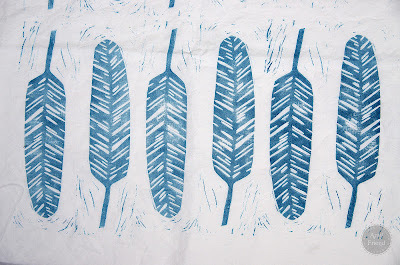 Above is my feather design printed in turquoise ink. 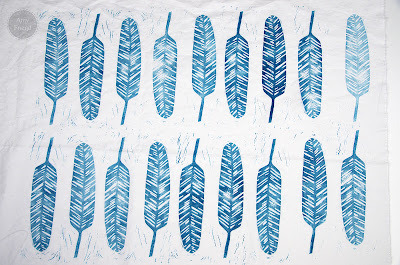 I have had feathers on the brain ever since I first saw Anna Maria Horner’s paper pieced feathers. 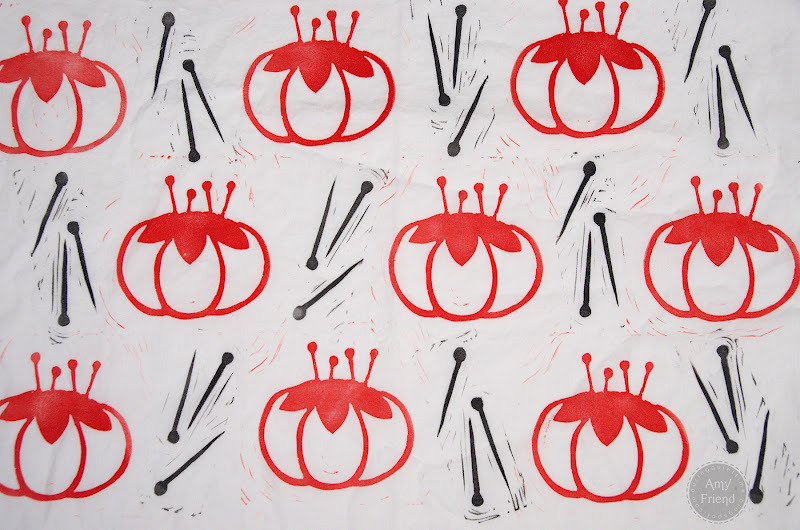 Then I printed this piece with little pincushions and pins. Cute! Here is what Lizzy was working on. She carved an adorable back to school block with an apple on top of a pile of math symbols. She also worked in strips of cats-the one you see in her hand here. It was such a neat experience to get to print along side of her. 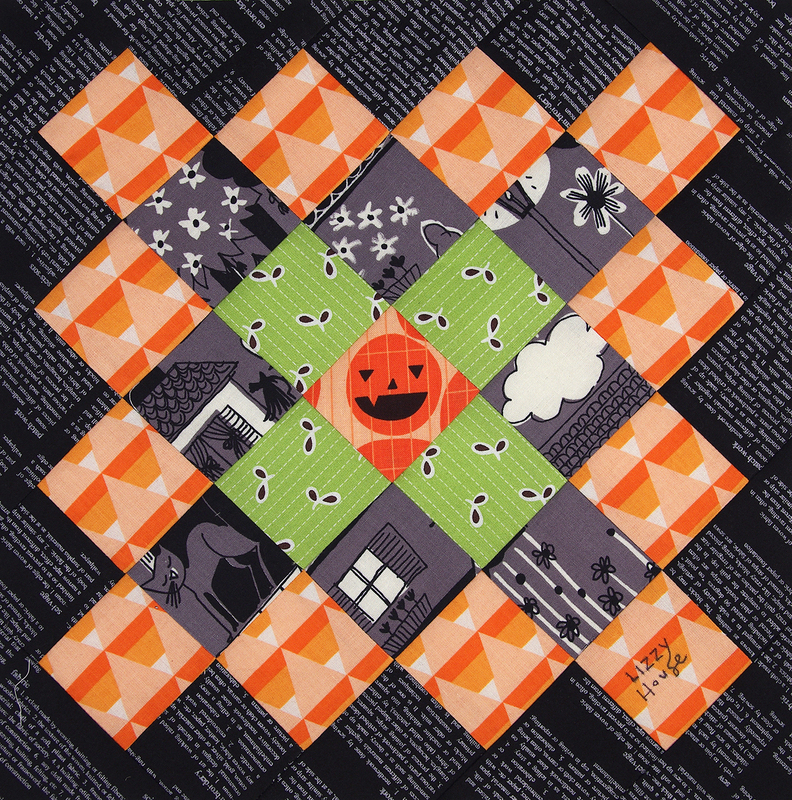 It just so happens that Cindy asked us to make Great Granny blocks following this tutorial for the Stash Trad Bee. She wanted them in Halloween colors and prints if we had some. 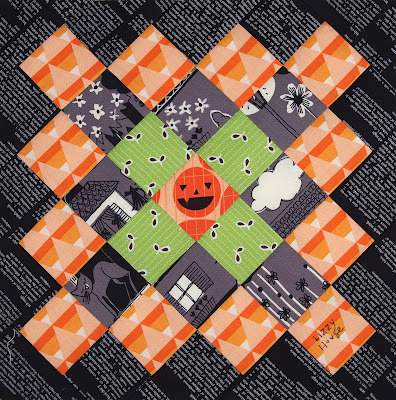 I didn’t have any Halloween prints but used this as an excuse to pick up a couple of Lizzy House’s new Guising prints from Sew Fresh. 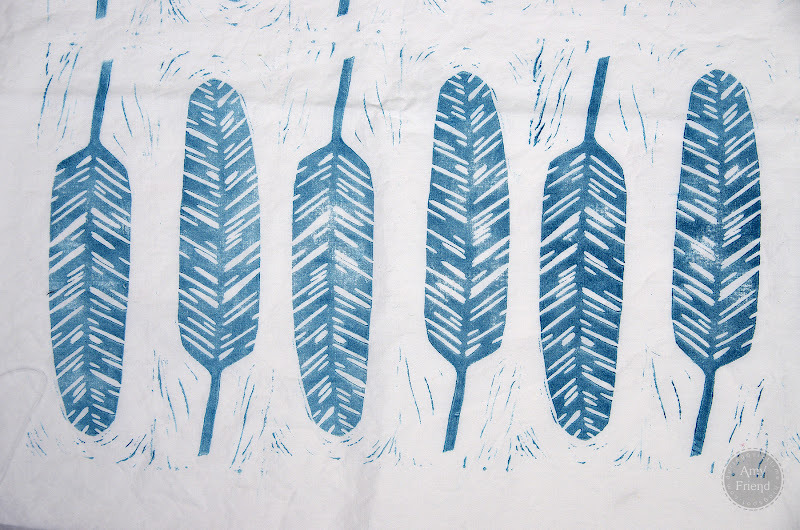 Thanks to Peg’s quick shipping, I received the fabric and was able to make the block for Cindy before my last block printing class last night. Geek that I am, I brought my block and asked Lizzy to sign it for Cindy! I kinda hate to send it away now but surprising Cindy with this signed block is even more fun! 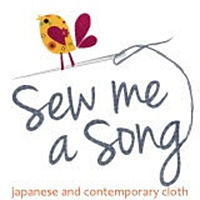 The winner of the Sew Me A Song giveaway is Nati! Congratulations. 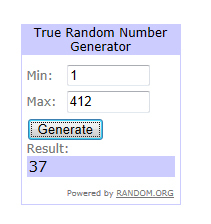 Thank you everyone for entering!